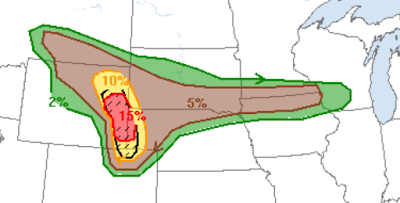 The significant (5%, brown) area of tornado risk extends from Monday to the Mississippi River to the northern suburbs of Denver. 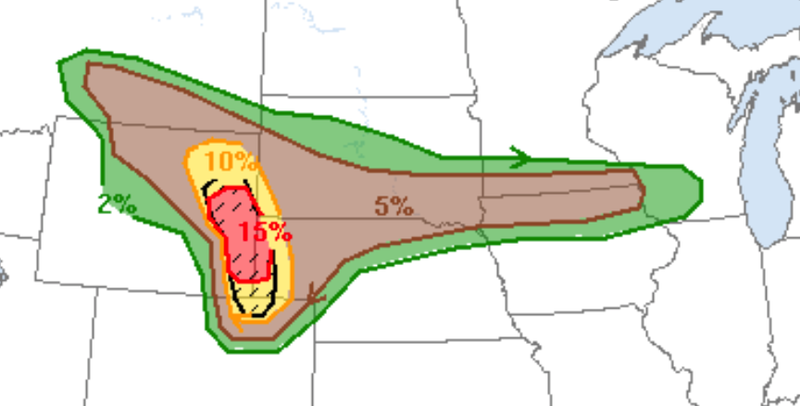 The 15% area represents a serious risk with the hatching a forecast of violent tornadoes. There is also a risk of large hail throughout the region. I urge people in this region to keep a close eye on the weather later today. There is also a meteorological research project going on in the area. If you see odd-looking vehicles, please be courteous and let them move about.